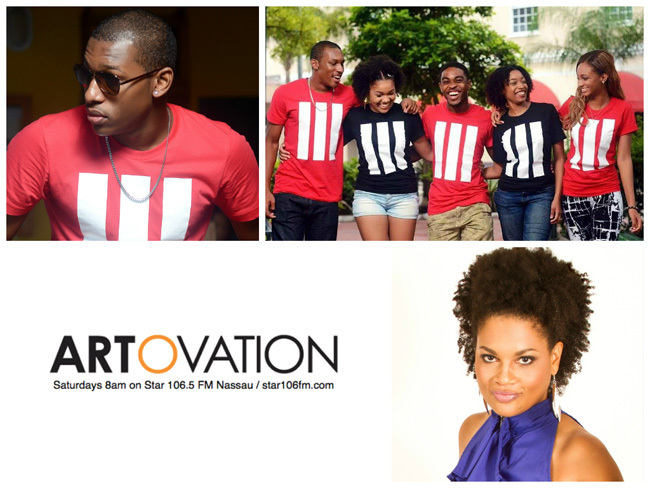 Nassau, Bahamas - ArtOvation with TaDa is a weekly one-hour radio show of one-on-one interviews with the brightest personalities in arts, entertainment and innovation! Tune in to ArtOvation on Star 106.5 FM Saturdays at 8am EST or online via www.star106fm.com. Virtually, the basis of FREEDOM Clothing line is "Simplicity makes room for Creativity". In the sense that we believe that simple is the new "in" thing. Back then, any and almost every company had to have an extremely gimmicky or catchy logo, or catchphrase or design to grab the attention of their consumers. This made people feel as though these companies were trying way to hard to gain attention. Some designs came off as "overbearing" or "hard on the eyes". Here, at FREEDOM, we're- well. Free! We're more relaxed with what we stand for. We provide a brand, better yet, a LIFESTYLE, that just oozes self confidence. We don't try too hard to gain the attention of our consumers. We just be ourselves and that's exactly what FREEDOM is about. The logo is so simple. So easy to look at, yet so catchy. It has people not familiar like "Well why am I seeing 3 bars everywhere all of a sudden?" Not to mention its easily distinguishable too. Much like the Nike tick or the Jumpman (Jordan) logo. Any form, any style. any alteration of that logo. You can break it up. Spin it around. Mix up the colors, whatever. People will still be able to recognize that logo. Its not cliche either, surprisingly. Unlike, let's say Hollister and American Eagle for example. Both has a bird as their logo. Thus, making them very easy to confuse for one another. I wanted to be able to create more than just a clothingline, but rather a lifestyle all together following the brand. Much like Nike and Jordan with sports. Or Vans and Odd Future with Skateboarding. Or even Under Armour with Fitness. FREEDOM is going to become a lifestyle where associated with Good Vibes. Fun Times. Relaxation. A lifestyle where consumers can express themselves or rather their interests (more or less) through their clothing. Have fun. And look good doing it.